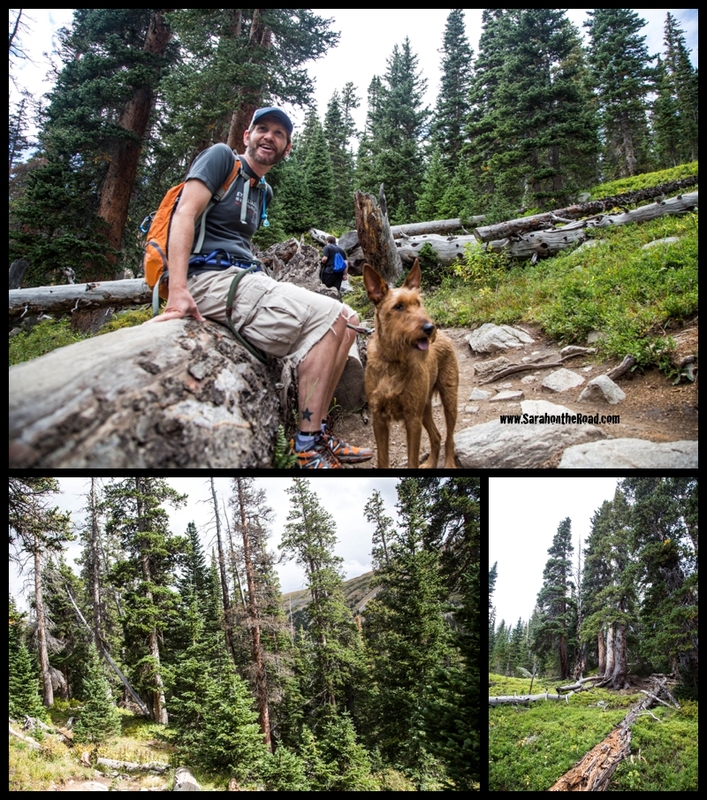 Throughout our long weekend adventures in Colorado…Keenan was busy taking short clips of the stuff we did. (I took a few, but mainly this was all Keenan!) He was able then to edit all the 15-30second clips into a fabulous video and he even added some music! The first video is all about our Balloon Trip…. I wrote about it earlier in a blog post. 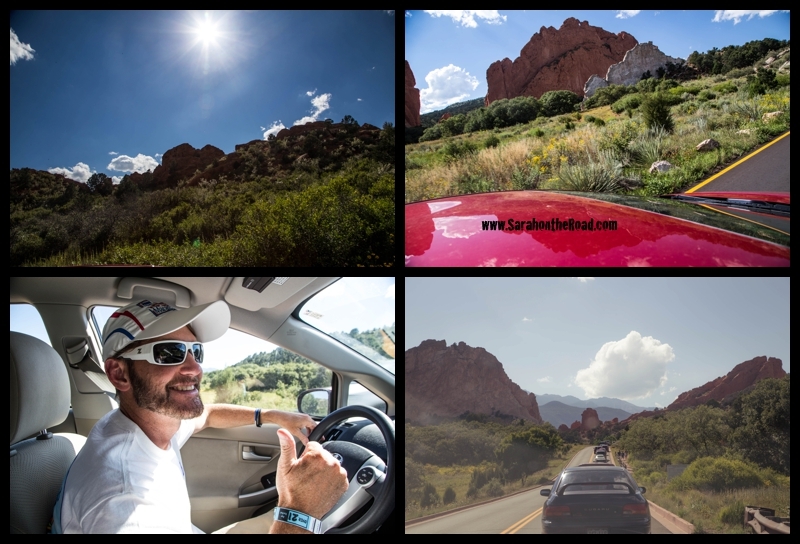 This video is a mix of EVERYTHING hiking, Garden of the Gods, Cliff Dwellings...and even trying to drive up a mountain to find the spot in Gold Hill were we were eating! 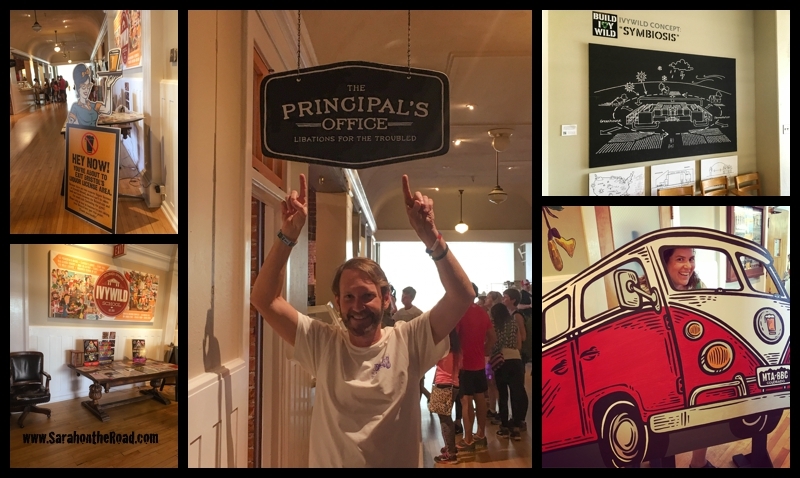 What an awesome memories thanks Keenan for putting these together. 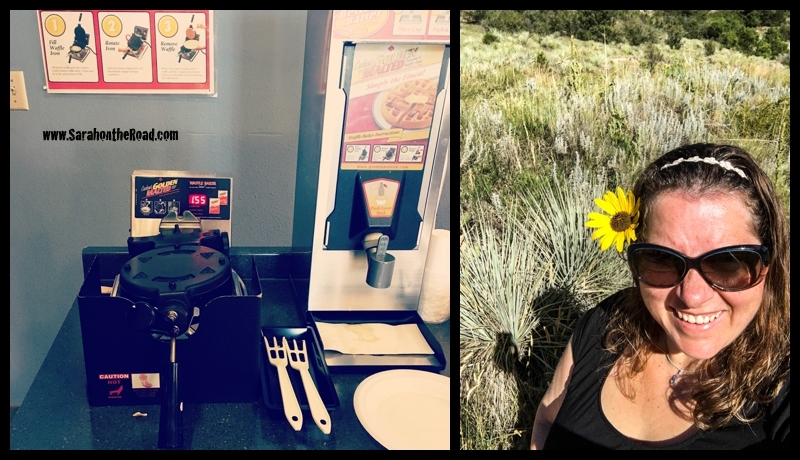 This entry was posted in Blogging Community, Friends, International Travel on September 17, 2016 by Sarah on the Road. Just to recap…this long weekend has been already pretty crazy awesome, a balloon ride, hike + dinner on a mountain and then a road trip. What more could a person want to do on a long weekend getaway? Well how about driving…and getting yourself from point A to point B? Challenge accepted and taken! Well Day 3… started off with an early start! 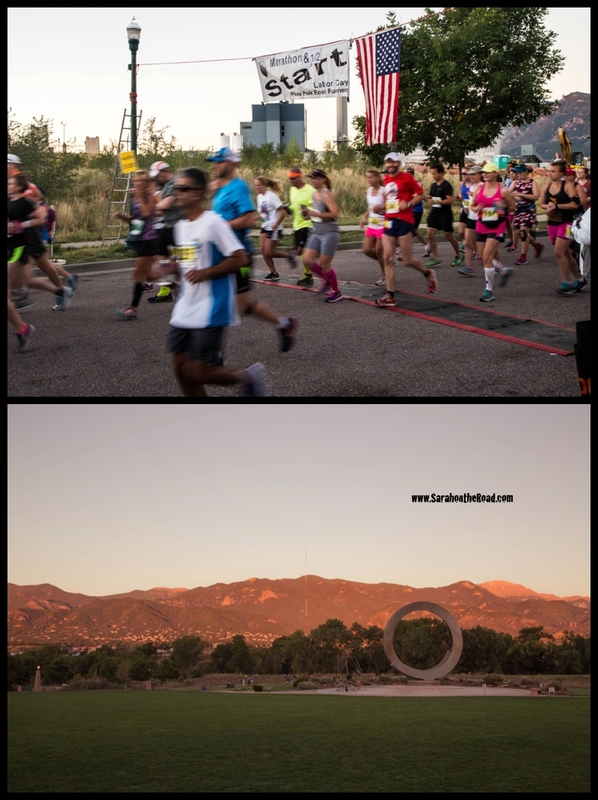 Marathons start way early in the morning in the US… and the American Discovery Trail Marathon had a 6:30am start. We made our way to the “American the Beautiful Park” where the Marathon was starting. (Side Note: Keenan had me drive–just so I can get use to his car…it’s a Prius and I’ve never driven a hybrid before… add that factor to the fact that I’m really nervous about driving his car, and it was crazy early and I’m not a morning person…but did learn quickly that his brakes are TOUCHY…..lots of fun but I got us to the start line in one piece). Keenan found some friends at the start line. 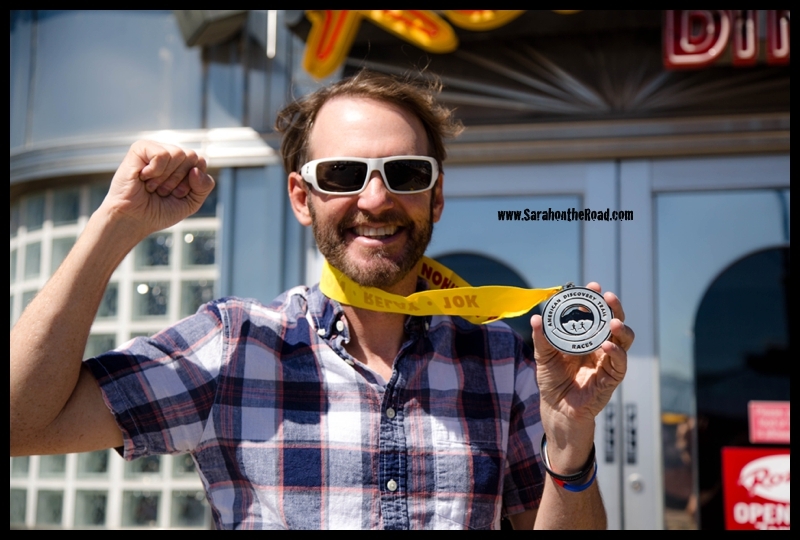 When you marathon as much as he has… you get to know people that also love running! Off he goes on his 69th marathon…can you see him cross the start line? 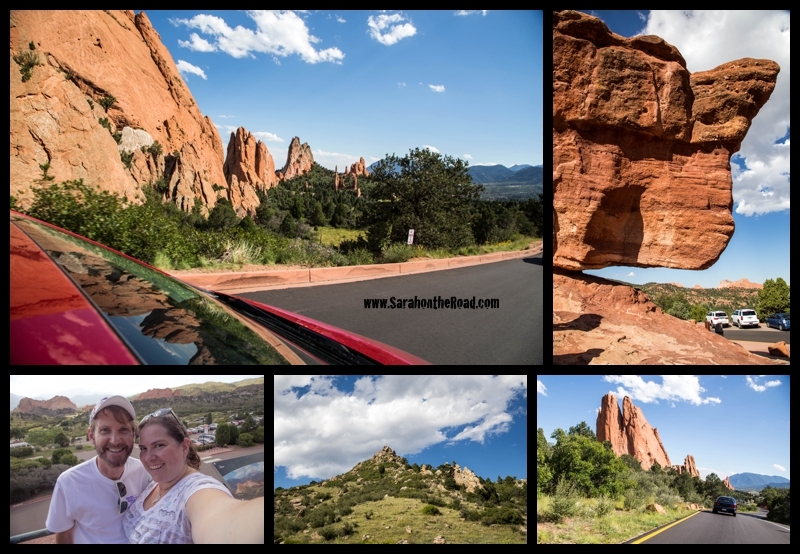 I decided to head back to the “Garden of the Gods” to explore a bit more on my own…. ..it was a wee bit less crowded and parking wasn’t an issue. Self-portraits with timers also weren’t an issue! …it was so gorgeous, and quiet…like I had the place to myself…perfect time to soak up the silence and to think. 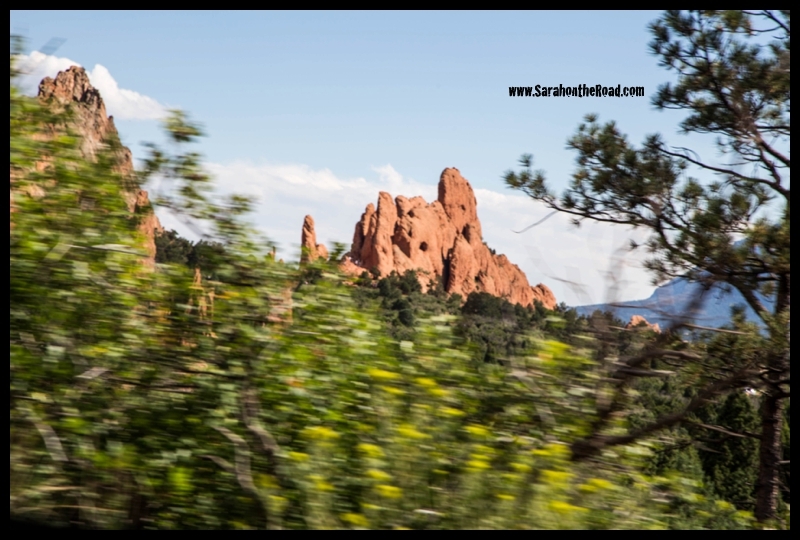 I’m glad I went back to the Garden of the Gods, it was nice to get out of the car and walk a little…and just take in the spectacular views everywhere I looked. 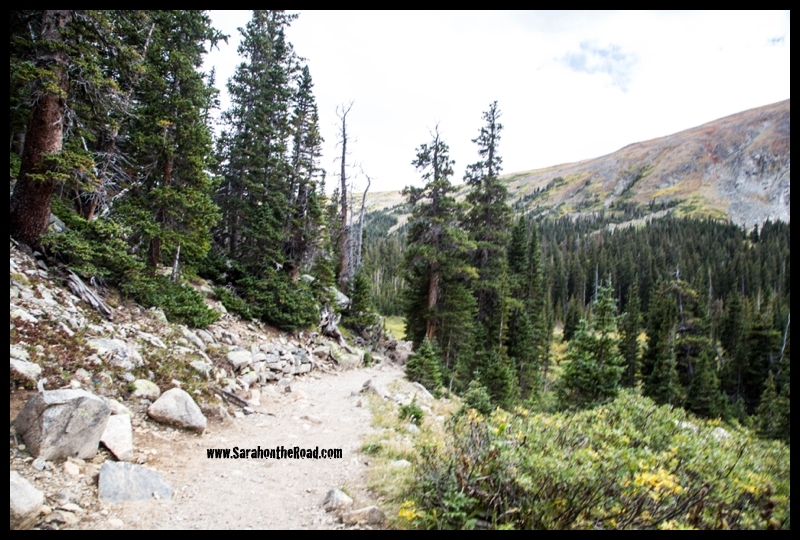 This is totally a spot I’d stop again to walk/hike and enjoy…. one visit just isn’t enough! 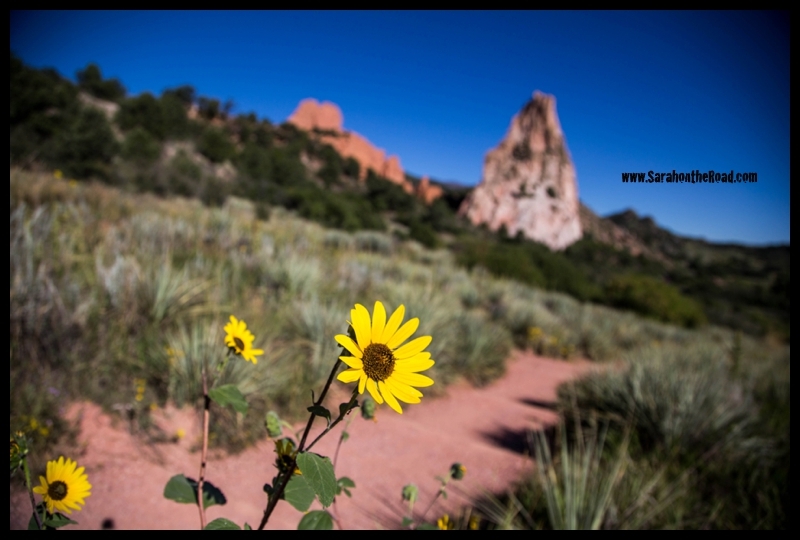 These flowers are EVERYWHERE this time of year in Colorado… Keenan tells me they are a weed, but I call them gorgeous! They remind me of my favourite flowers…sunflowers! I added to my Children’s Book Collection… with two books by Mark Ludy. I picked up a copy of the Flower Man and Paper Monsters. Mark was a totally awesome guy…even though there was a bit of a line, he stopped to talk to everyone… greet children by names and really focus on who was in front of him! So great to meet him… and his stories are pretty cool! 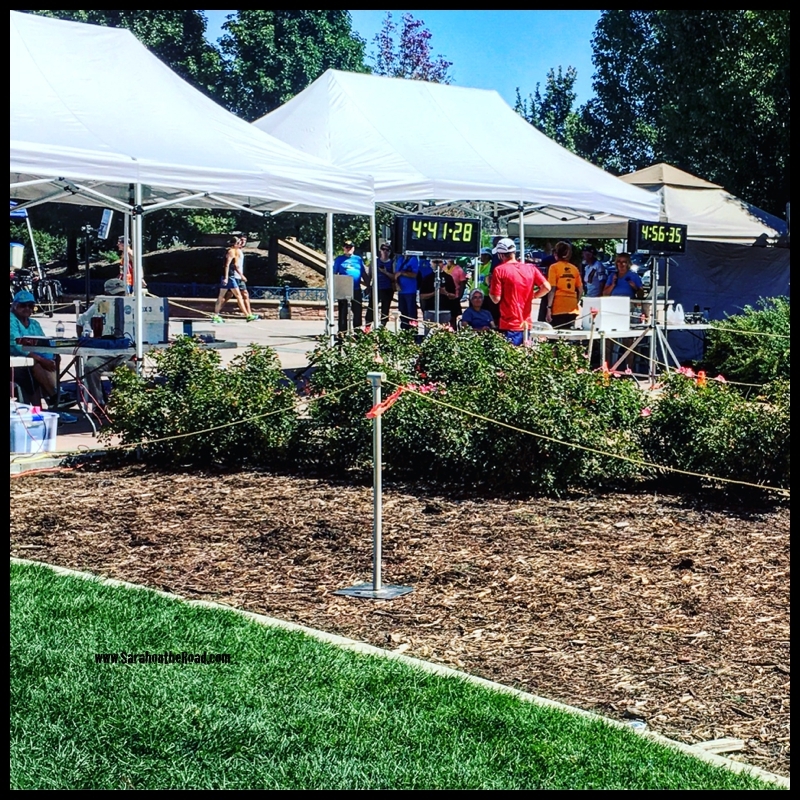 I made it back to the American the Beautiful Park… in time to see Keenan finish strong in his 69th marathon! Congrats Keenan…you are one to inspire…you set goals and have dreams and then you go out to get them! After a detour back to our motel to sneak Keenan back into our room (check out was 12noon and we got there 12:30…but he still was able to shower!) I took the wheel and drove us back to Louisville… which was a pretty crazy, fun experience. Keenan’s speedometre is digital so just shows miles…(which is ok, because I followed the signs and stayed in the speed limits). However, it was the most un-nerving thing to do…because I literally had NO CLUE how fast I was driving without a reference to KMs. After finding the switch button I realized that 75miles =120kms…so mystery solved it was all good! The rest of the day was about getting back to Louisville…heading to a movie (my choice) and really wasn’t a good choice…next time we go to a movie…Keenan you get to choose ok? Then dinner and packing up my bags getting ready for my crazy early flight home! In life, all good things must come to an end! Thanks so much for an awesome weekend Keenan and showing me around your beautiful Colorado. From the glimpses I’ve seen this long weekend I totally need to come back to explore some more. 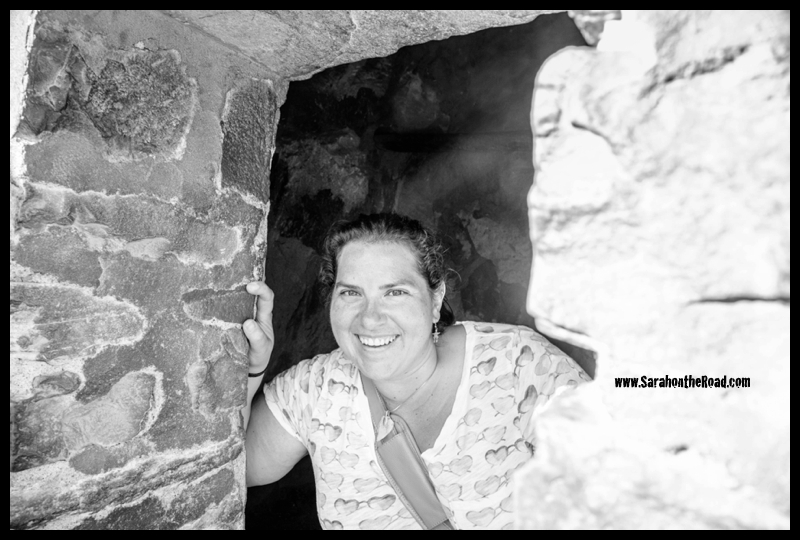 This entry was posted in Blogging Community, Friends, International Travel, Photography on September 16, 2016 by Sarah on the Road. So already on Day 1 there has been ballooning, hiking and a dinner on top of a mountain! Was pretty excited to see what Day 2 of my long weekend in Colorado would bring! I got to sleep in a bit! (Which was so nice… I actually slept…AND I woke up feeling a lot better…looks like my body was adjusting to the altitude.) We did a bit of running around, dropped Ro off at doggie daycare…and then headed south to Colorado Springs! Colorado Springs—were random deer run across the street to do their Sunday shopping at the grocery store? We had to stop in to pick up Keenan’s race bib for the marathon tomorrow. The pick up was this really cool brewery… it was an old school that had been converted! SO MUCH FUN…. we had already had lunch…or we would have stopped in the cafe for what looked like awesome food! Next up…. 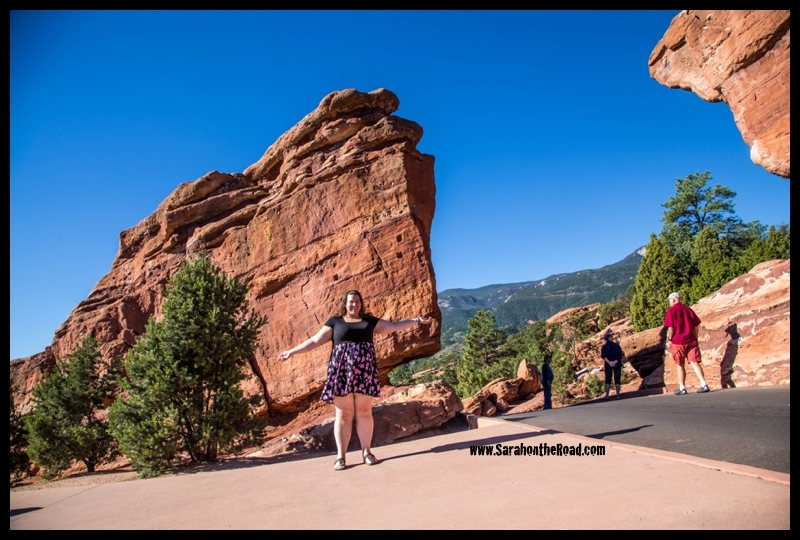 when in Colorado Springs you definitely need to go visit the Garden of the Gods! 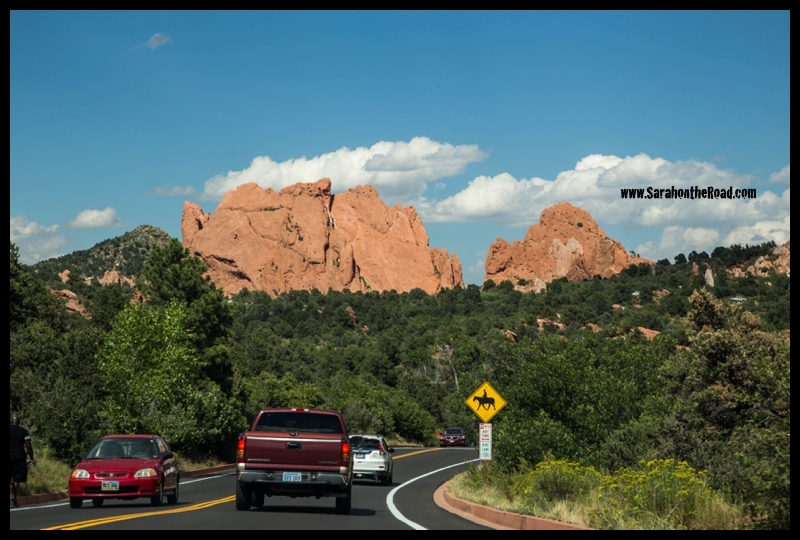 So why was it named the “Garden of the Gods”? 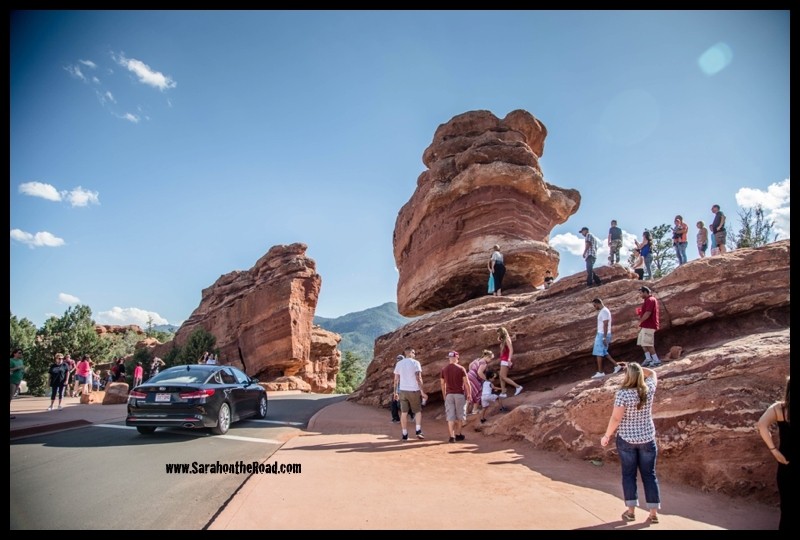 We didn’t let the crowds stop us…but we decided to only stop at the ‘balanced rock’…. …and sometimes that drive-by shooting turns out pretty darn perfect! 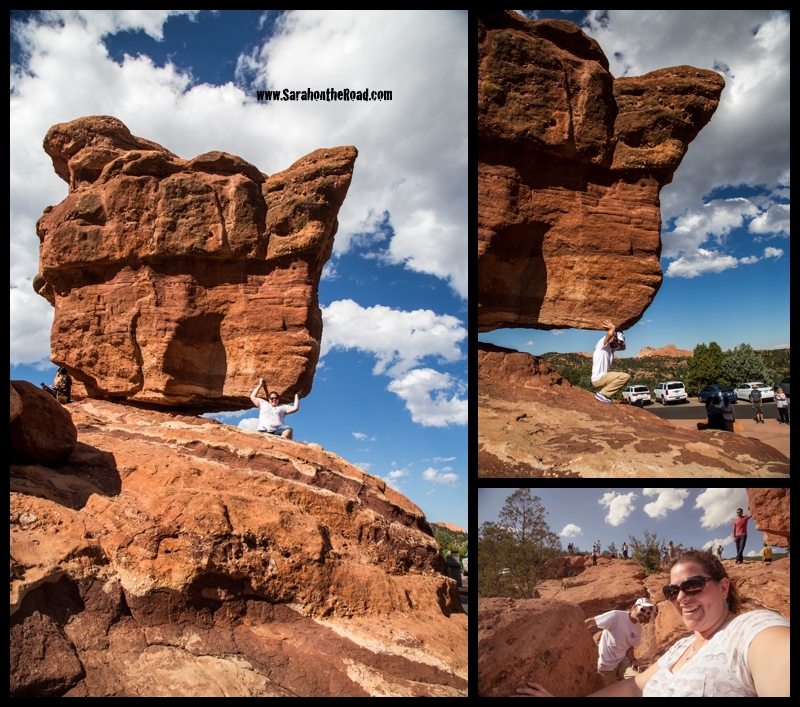 Just enjoying the ‘Balanced Rock’ with a few of our new friends…. 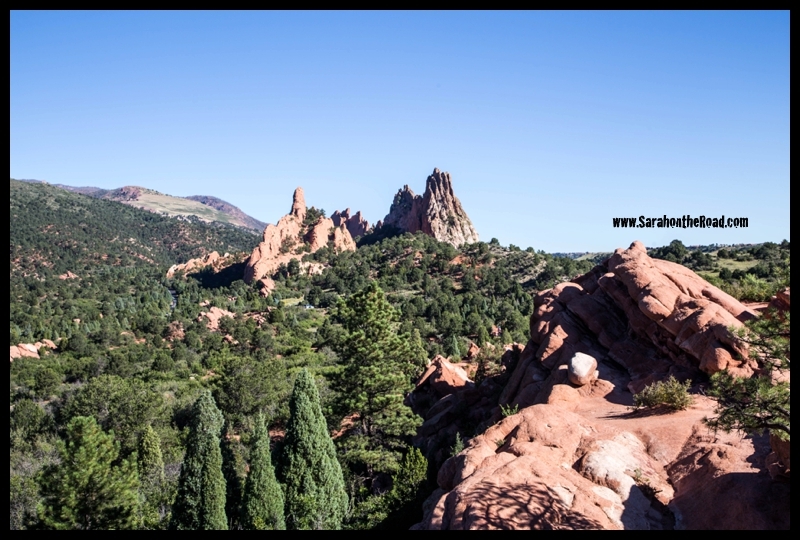 In the 1890s, photographer Paul Goerke shrewdly purchased the land around Balanced Rock. Goerke and his son, Curt, snapped photos of tourists for .25 cents each. The Goerkes then developed the plates in their shop at Steamboat Rock. They use to take photos of people in front of the balanced rock, he brought donkeys for them to sit on. Keenan managed to get the got-the-whole-holding-up-the-rock pose a lot better than I did!!! What do do next? 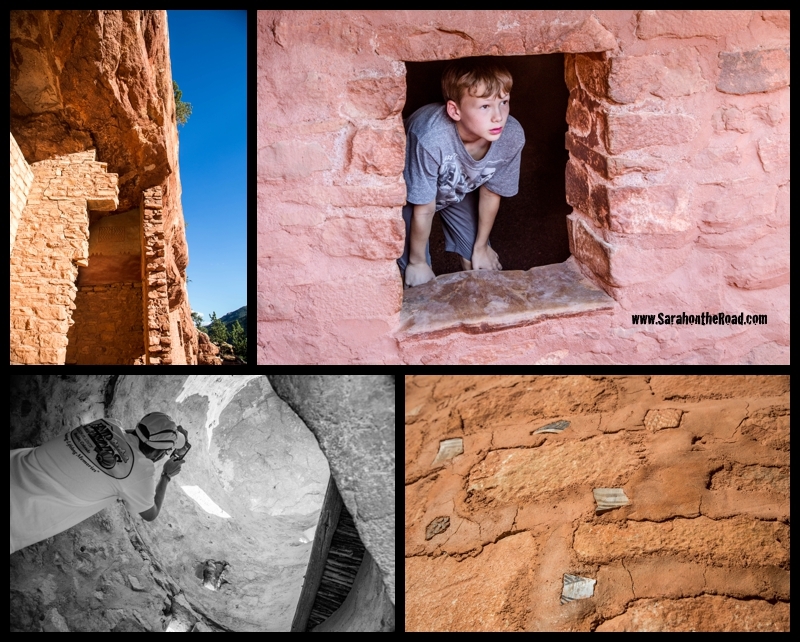 We decided to go check out the “Cliff Dwelling Museum”… about 5 miles west of Manitou Springs. 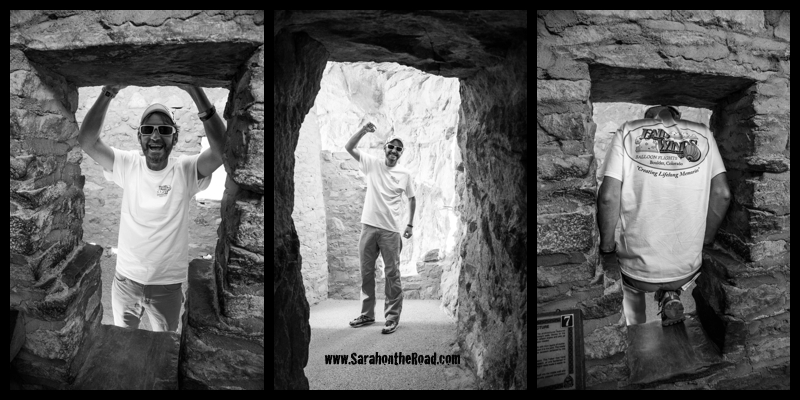 After escaping the gift shop that was like a maze…many different levels, random rooms and never seemed to end! 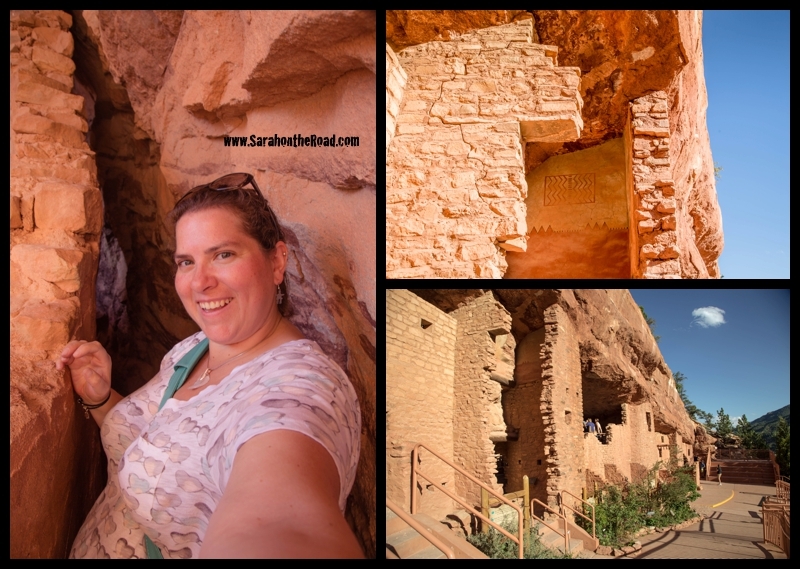 We went to walk through the cliff dwellings. This site is a privately owned site. The history of the site was a wee bit lacking at the museum–or maybe we didn’t really take the time to read all of the history! Keenan did have so much fun randomly climbing and exploring all the nooks and rooms! 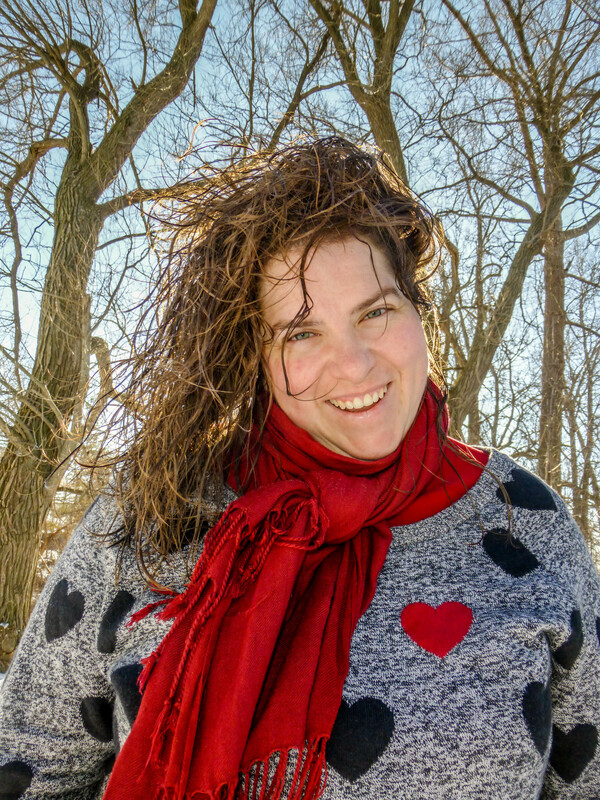 Thanks Keenan for snapping this photo… i think it is my new fav shot of myself! 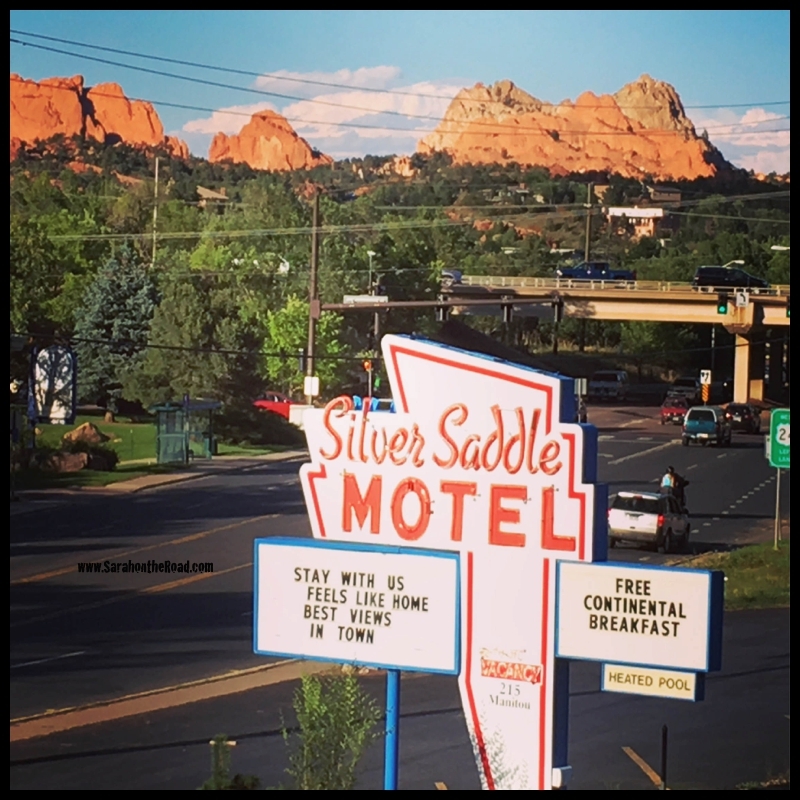 Next we headed to check into our motel for the night… we had a room with a view! 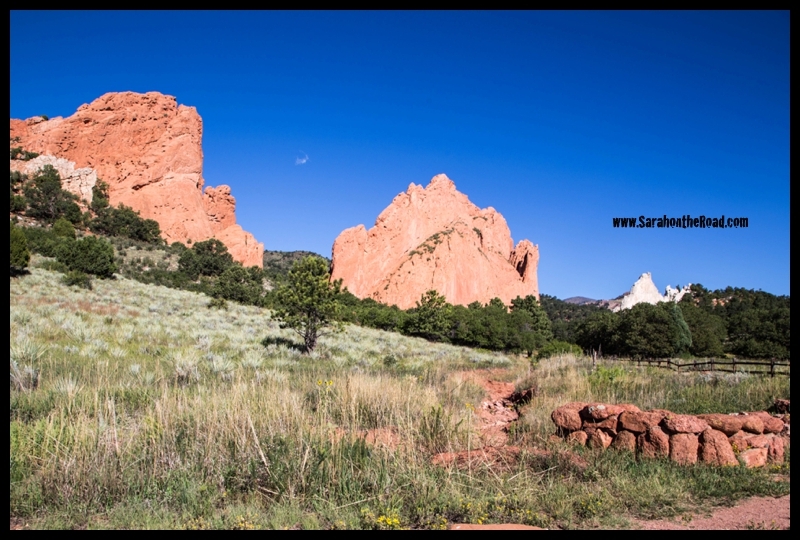 (Snapped just outside of our door… hello, Garden of the Gods! While there…another group of 3 people came close to the springs…I really don’t know what happened, but and all of a sudden this Sugar Glider jumped onto Keenan… I might have screamed! Then got some photos…. of him hanging out, and climbing across his back onto his shoulder. Then the man claimed his pet…. it was a totally random, but pretty cool! 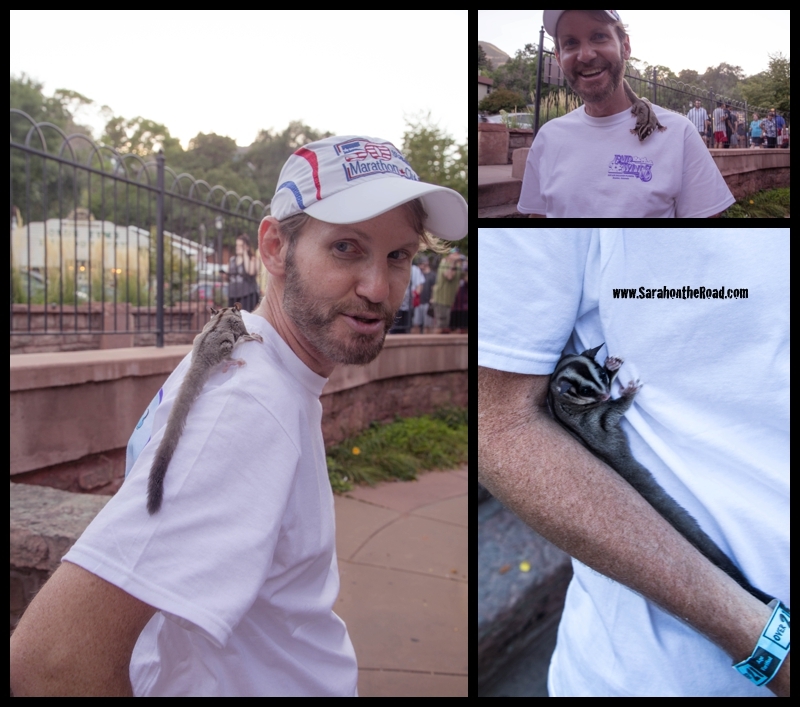 (The funny thing was that the woman in the group had another sugar glider… but it was in her t-shirt pocket…not as social.) Another action-packed awesome fun day!!!! But have no fear–there’s still one more day of this holiday to get through… and that will be a story for another day! 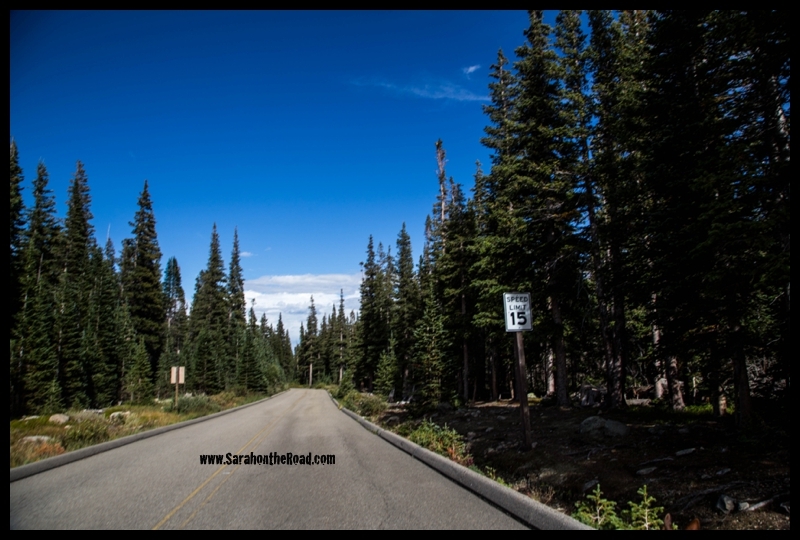 This entry was posted in Blogging Community, Friends, International Travel, Photography on September 15, 2016 by Sarah on the Road. Last post I told you all about my morning Ballooning. After brunch we headed back to Keenan’s to pick up Rowan (Ro) his dog. Then we packed our backpacks and headed up to the mountains to do some hiking. 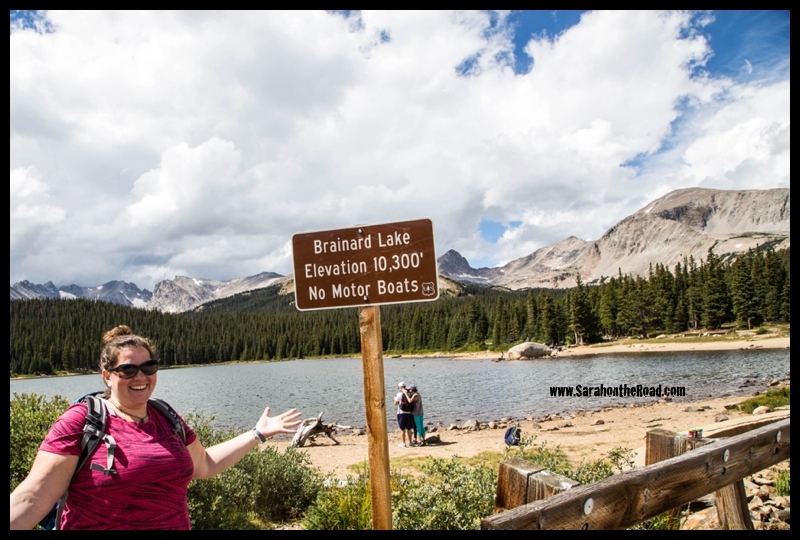 We started at Brainard Lake…found a parking spot (which we weren’t sure we’d get because it was so late in the day..and being a holiday weekend everyone was OUT and ENJOYING the weather! )…we put on sunscreen and started our walk. 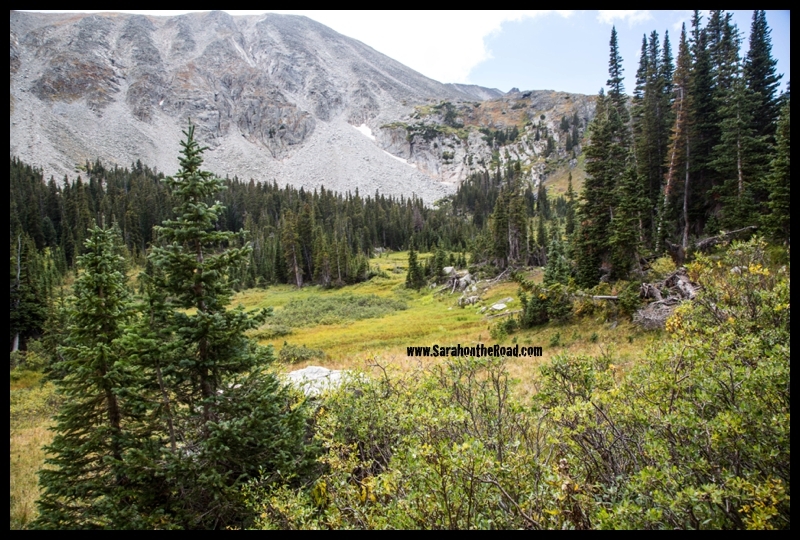 As you can see in the photo it was at an elevation of 10,300 feet. Our plan was to hike on the trail to Lake Isabelle walking past Long Lake on the way. …it started off as a bright sunny day and there was a nice cool breeze, so it wasn’t too hot! 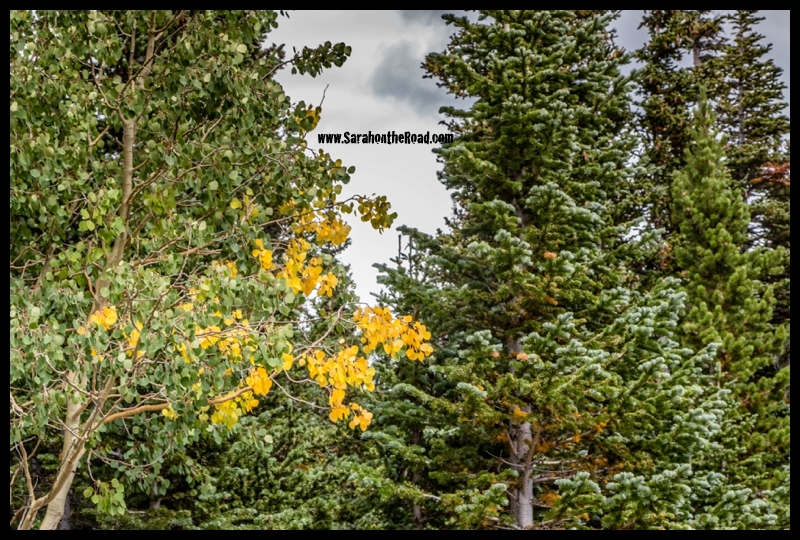 The first sign that the seasons are changing… leaves that are starting to turn! (But Summer is not OFFICIALLY over until after September 21st—that’s my story and I’m sticking to it!) However, fall and the changing leaves is one of my most favourite times of the year. 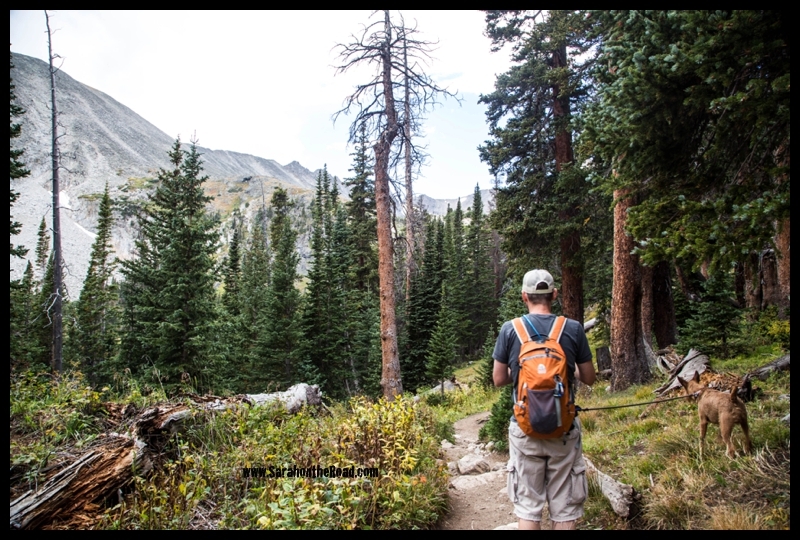 I’m a slow hiker…and I’m totally ok with that. Luckily my hiking partner for the day was ok with that too. I think part of the reason I was going even slower than normal…was the altitude. I really didn’t even think about altitude and how it could affect me…but by this point in my hike I was feeling pretty awful. My dull headache had reached the point of crazy-horrible…even though I was drinking lots of water… it didn’t help. I’m pretty sure it was a mild case of altitude sickness—and when I googles symptoms later that day. …it was so beautiful, and I didn’t want to stop…but when I saw this HUGE log (in the photo below) beside the trail… I had to sit down, and I knew I was done…and I still had to hike back to the car! Somehow, Keenan seemed to know…that too so we decided to head back. So we didn’t end up at Lake Isabelle…but sometimes it’s not about the final destination but the journey to get there. It was still pretty awesome to be hiking in the mountains in Colorado. …My photos really don’t do it justice! 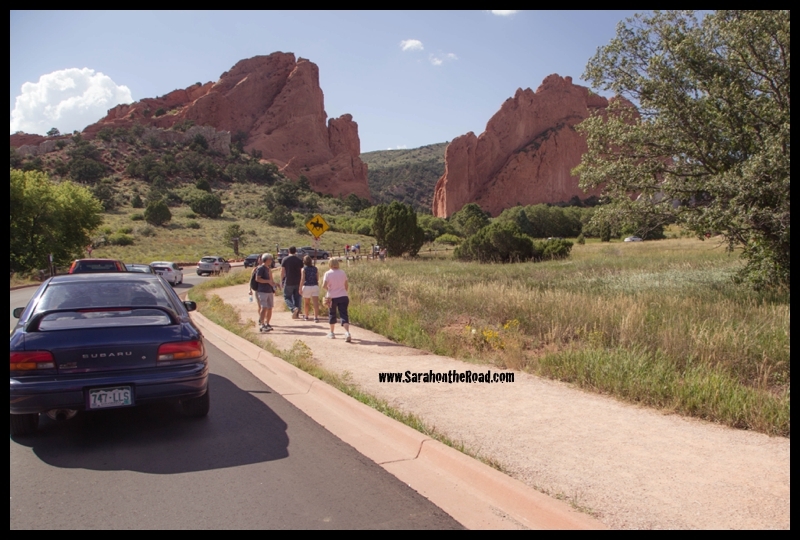 Every moment of the walk I was in awe….it’s so beautiful, and I was so glad to experience it. …with the thunder there was a bit of rain, but it mainly was a light drizzle and then the sun came back out. I joked it’s because I was there, and the sun was mandatory for my visit. On our way back to the car…we passed some hikers that told us just down the way there was a moose in the field. I was pretty excited, but didn’t want to get TOO excited, because you never know with wildlife…whats’ there one minute has sometimes moved on by the time you get there 5-10 mins later! However, I wasn’t disappointed!!! We got to see a momma moose and her calf. Keenan stayed with Ro on the path so I could get a wee bit closer for photos. Once I was done that, I unclipped Ro’s lead and kept him at the road so Keenan could go closer to take some video clips! 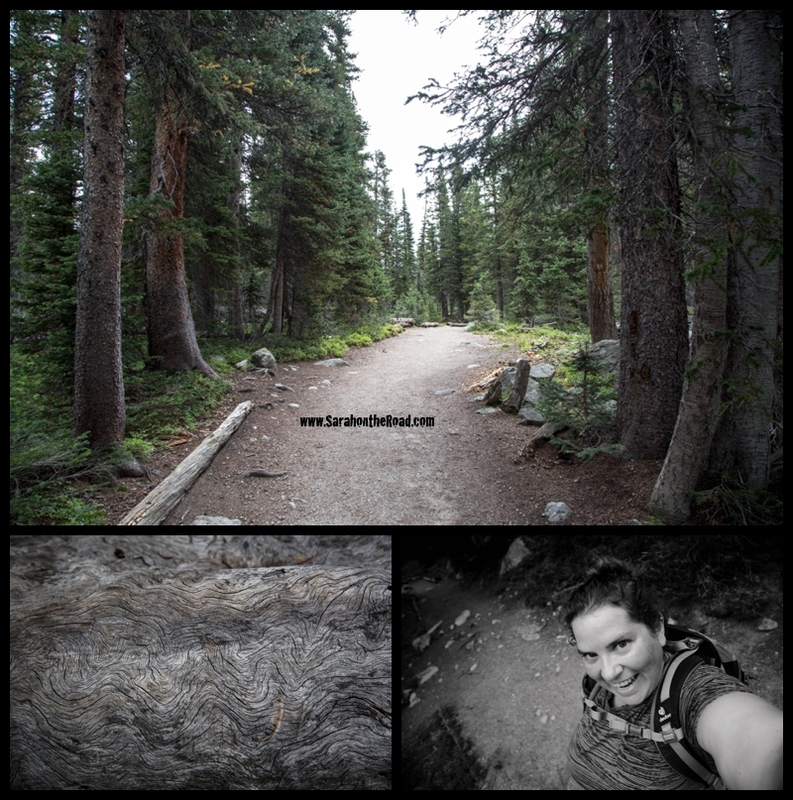 Hiking magic…wildlife? WOW… you can never expect to see things like this…but when it happens you feel so blessed to have been there to see that moment. 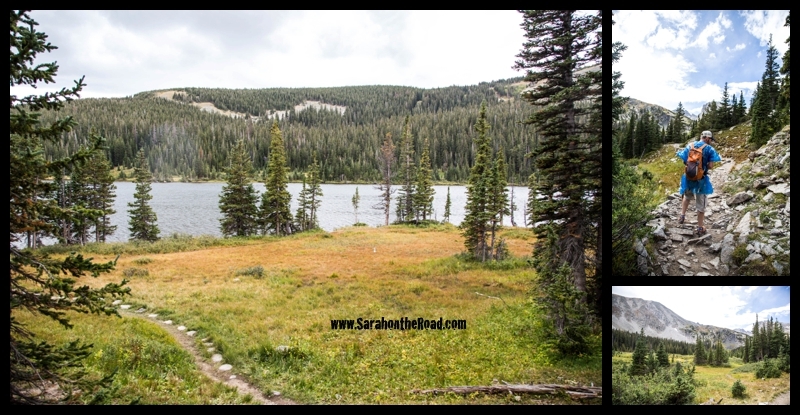 We hiked down to Brainard Lake a different way than we came…and ended up on the other side of it. At this point, I was so dead…even with a smiling selfie…I was feeling done in. 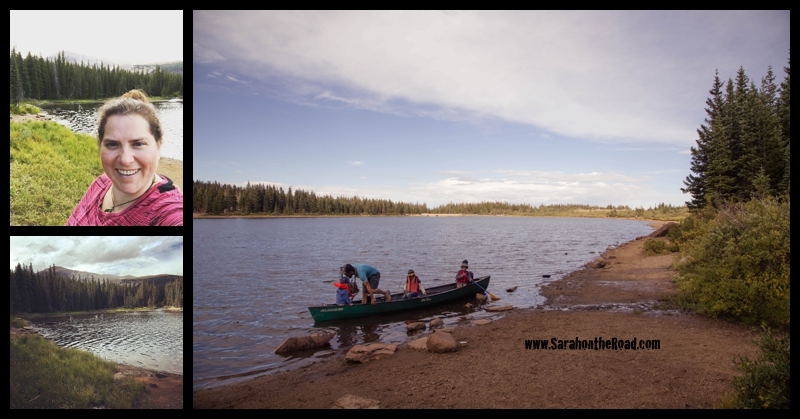 So I chilled by the lake…watched a dad with some kids rearrange everyone so that they were in the spots they wanted so they could go back out to fish. Keenan and Ro headed back to the car and came back to pick me up. Thanks again for doing that Keenan! Then we were on our way back to Louisville. 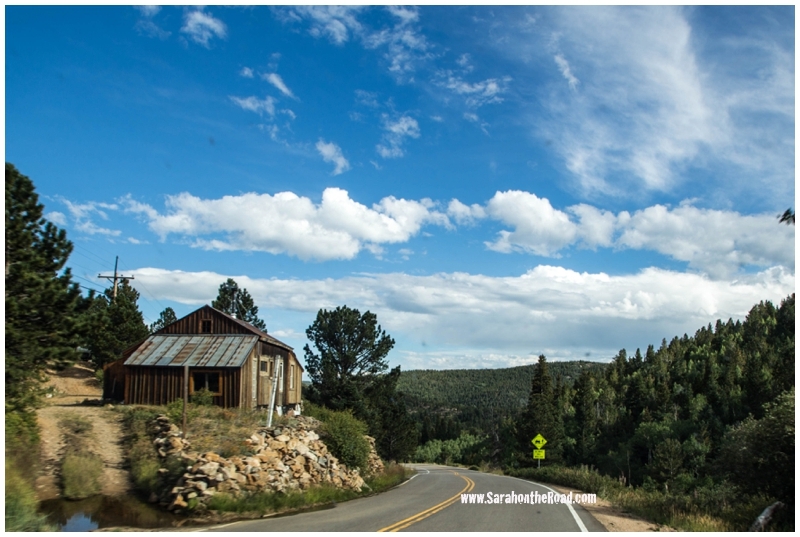 Down the crazy winding road…we past through Ward, Colorado. 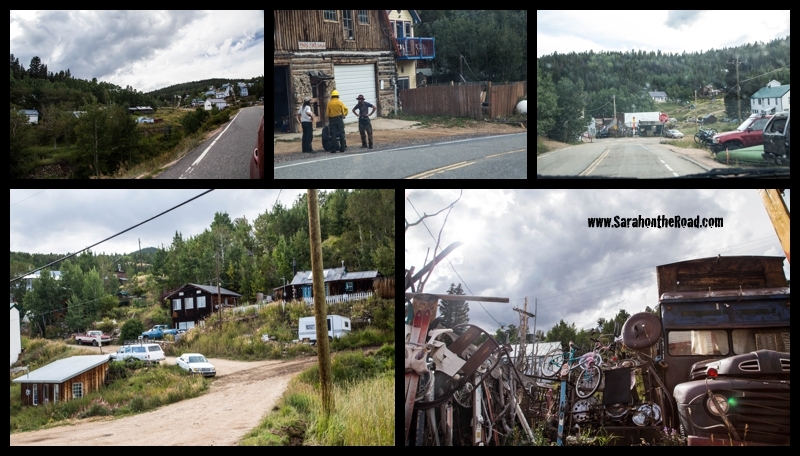 It’s a crazy little town… with heaps of random things around old houses….Keenan told me that their post office was just removed—so they have to go somewhere else to get their mail now. Of course after we are finished our hike and heading down the mountain the sun comes out…and nice gorgeous blue skies! But it was time to head home… have a shower and a bit of down time. Before we headed back up into the mountains for dinner! …the history of places is always an interest to me. So it was pretty awesome to have dinner in a place…where if the walls could talk, I’m sure there’d be heaps of stories to tell! 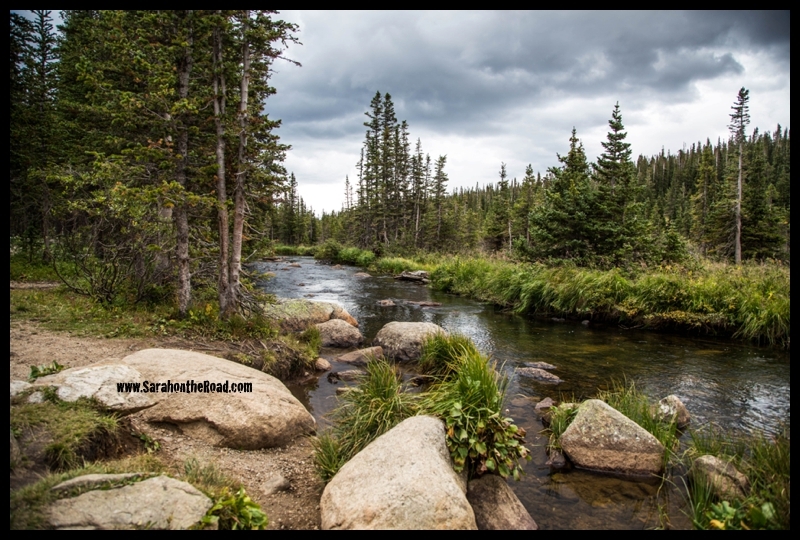 In January 1859 a group of prospectors panned & dug their way up Four Mile Creek looking for traces of gold. As they approached what is now the town site of Gold Hill, they discovered the first real proof that their search was profitable. The town site began to grow, upon the formation of Mountain District #1 Nebraska Territory. First, the miners built a settlement of log houses and shacks, followed by the service buildings, school, stores, and boarding houses. 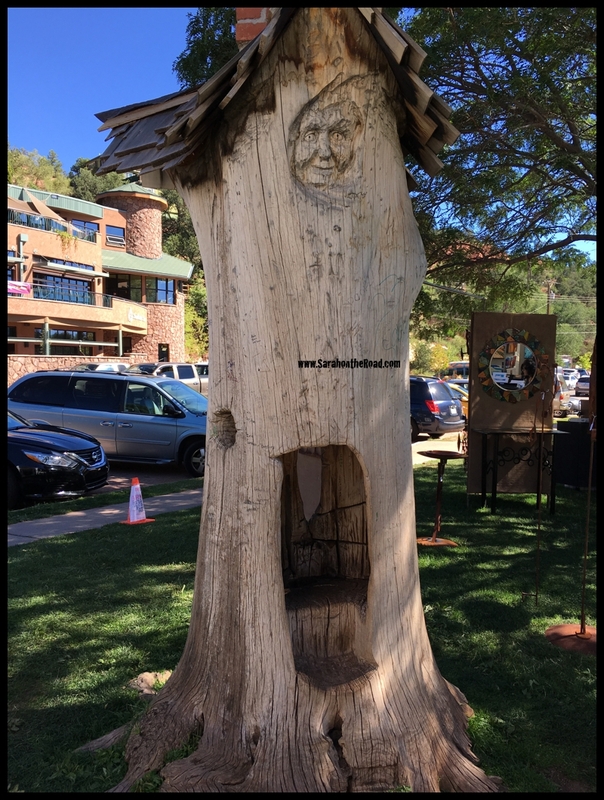 In 1872 the Wentworth Hotel, a three-story luxury log building, was constructed with the idea of attracting tourists to the town. 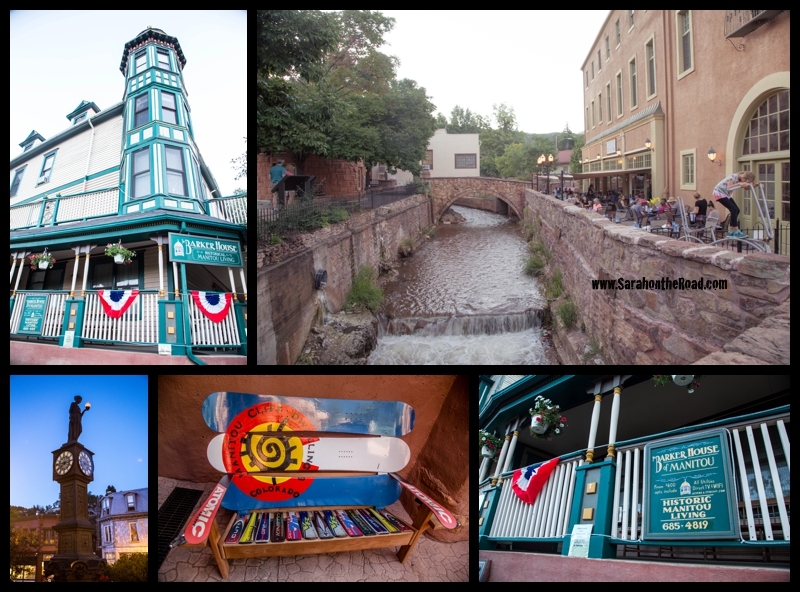 The Wentworth Hotel hosted many early personalities such as Clarence Darrow and Eugene Field who wrote several poems about Gold Hill including, ” Casey’s Table D’ Hote “. 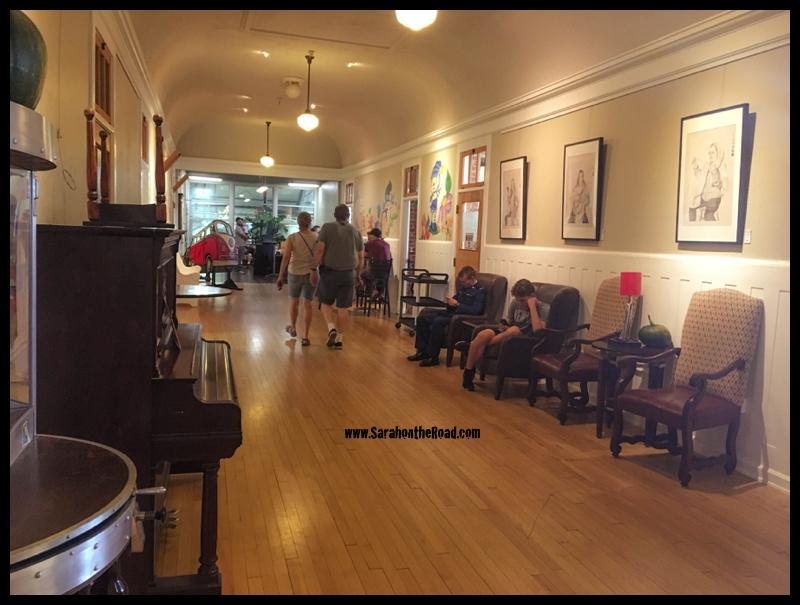 In 1920, the hotel became the Bluebird Lodge, and was run as a private vacation spot for women from the Chicago area who were teachers, nurses etc…. Mrs. Sherwood was the original creator and was a protégé of Jane Addams of Hull House and also a humanitarian. The vacation spot became so popular, that in 1924 a dining hall, also log, was needed, and built next to the Bluebird Lodge. By the late fifties the “single” vacation was no longer desirable or necessary since the “rights” of women had improved. 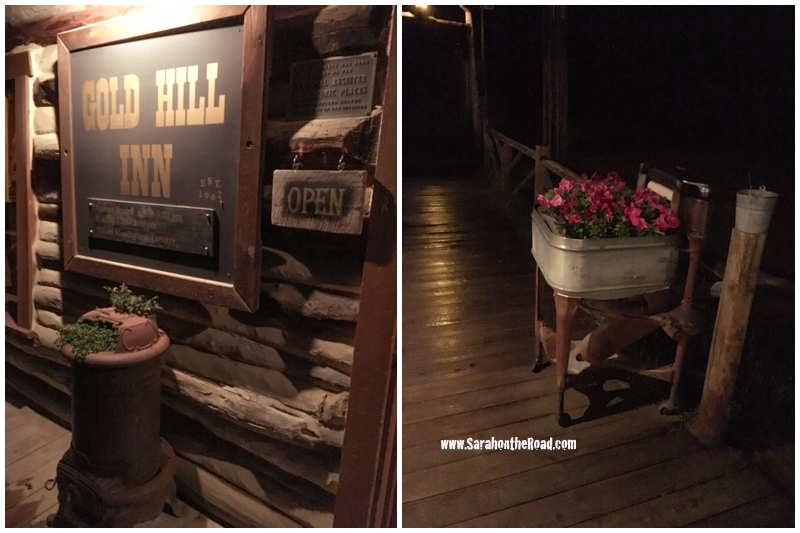 Many of the women had acquired their own cabins in Gold Hill. The other pretty awesome thing about this place…I had joked to Keenan before coming that I wasn’t climbing up any mountains, unless there was a tea house at the top! So what does he do? Finds a restaurant at the top of a mountain to take me too for a fabulous 6 course meal!!! There was a salmon appetizer, then a extremely yummy lentil soup, then salad (didn’t remember to take a photo of that! 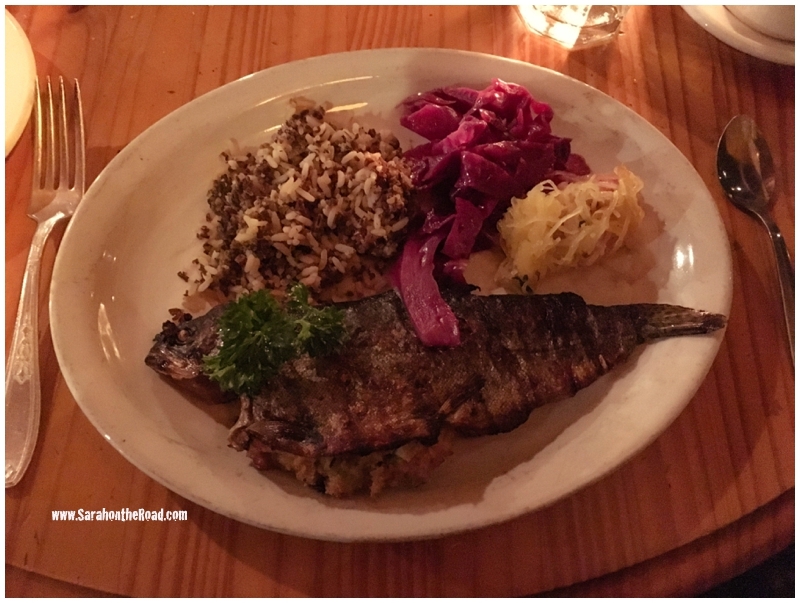 )… for my entree I had the smoked stuffed trout—OMG so yummy! 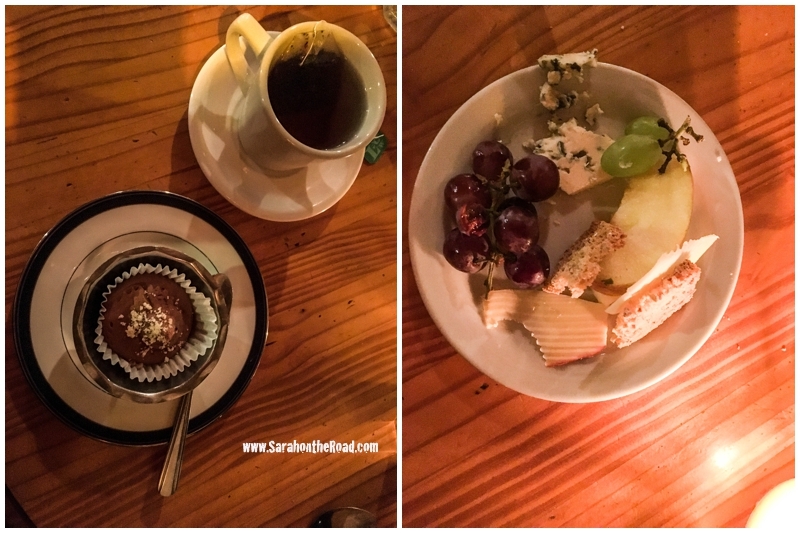 Then I had this frozen chocolate mint cup for dessert…and it was so darn good….and tea then cheese and fruit to share. The food was amazing, company even better and the conversation the best part of the night! 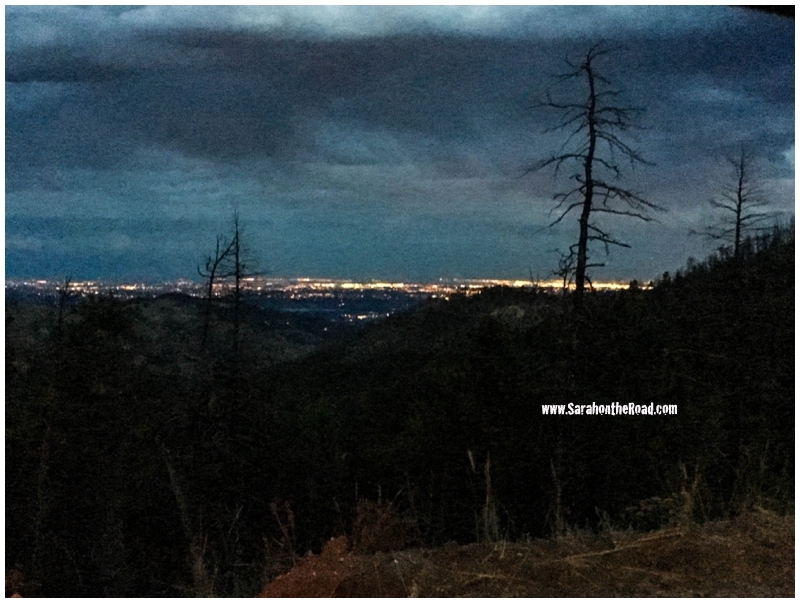 …we made it down the mountain winding down the dark, gravel road…which seemed way faster than the way up! Believe it or not…this was just Day 1 of my 3 day weekend adventure! 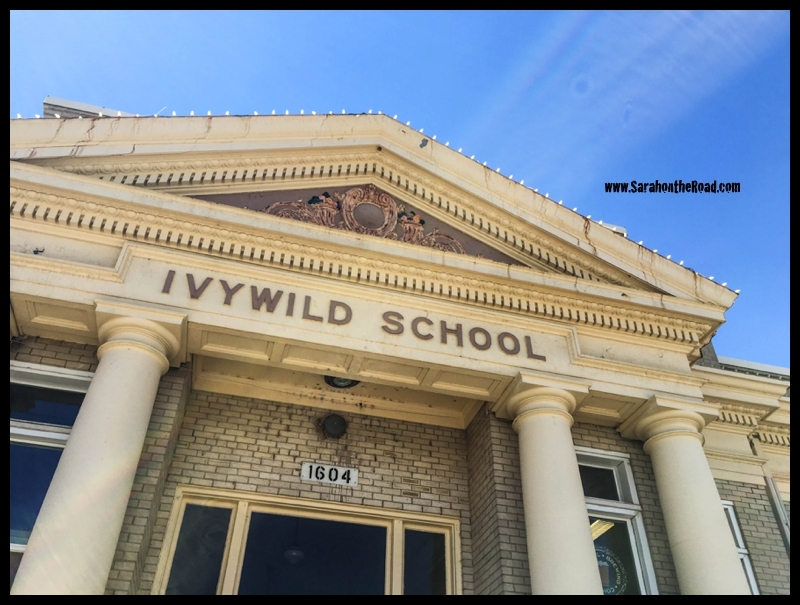 There’s way more stories to tell… but that will have to be in another post. 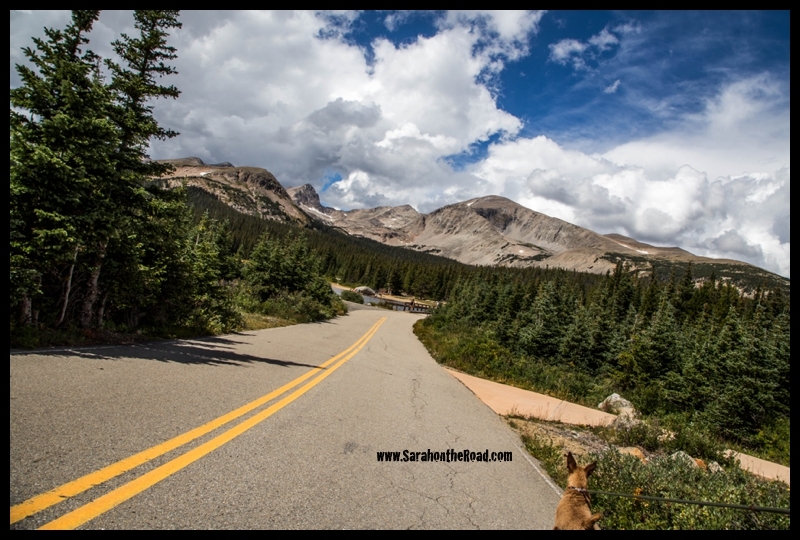 This entry was posted in Blogging Community, Friends, International Travel, Photography on September 12, 2016 by Sarah on the Road.